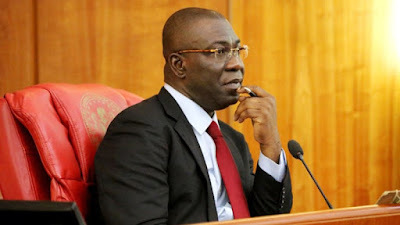 The Deputy Senate President, Ike Ekweremadu, has expressed happiness over the return of a former vice president, Atiku Abubakar, to the People’s Democratic Party, PDP. He described his action as a welcome development not only for the party, but also for the nation’s democracy. Mr. Ekweremadu said this in a statement signed by his Special Adviser on Media, Uche Anichukwu. “Nigeria is in dire need of a rescue mission to rekindle hope in our democracy, restore her on the path of prosperity, and halt the worsening divisiveness that threatens our corporate existence,” he said. Mr. Ekweremadu called on other PDP members who left to return and reunite under the umbrella. “I see a country where corruption will be eradicated, a nation that will be a pride to Africa and admiration of the international community, and a nation where no man will be oppressed, intimidated, persecuted or sidelined on account of ethnicity, religion or political persuasion. No amount of desperation will stop the will of God for Nigeria in 2019”, he said. Mr. Abubakar had last week announced his exit from the ruling party, APC, citing the inability of the party to meet the expectations of the citizens and worsening suffering of youth in the present dispensation. He announced on Sunday he was joining the PDP.